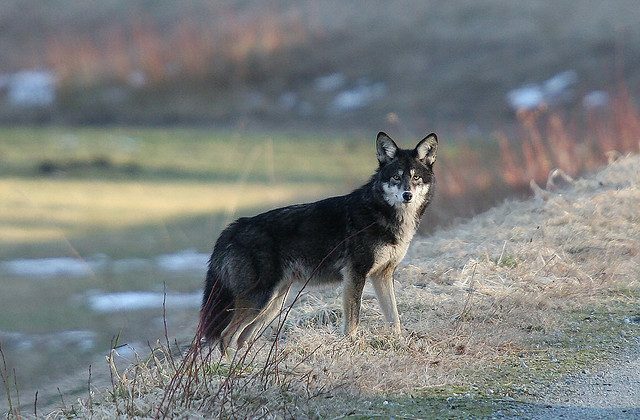 The “coywolf,” what was once known as the eastern coyote, has appeared in increasingly more numbers in northeastern portions of the United States, namely in New Jersey. They’re actually a coyote-wolf hybrid, and the the population has grown into the millions. The animals were once called the eastern coyote, but coywolf is a better term, according to the Economist in a lengthy piece. Many coywolves, it says, are “twice the heft of pure-bred coyotes. With larger jaws, more muscle and faster legs. Individual coywolves can take down a small deer. A pack of them can even kill a moose.” The hybrid can weigh as much as 55 pounds more than a normal coyote. However, it’s not new. A report from PBS writes that the first coywolf appeared around 1919 in Ontario, Canada. Coywolves today are on average about one-tenth dog and a quarter wolf. “Coyotes dislike hunting in forests. Wolves prefer it. Interbreeding has produced an animal skilled at catching prey in both open terrain and densely wooded areas, says Dr Kays. And even their cries blend those of their ancestors. The first part of a howl resembles a wolf’s (with a deep pitch), but this then turns into a higher-pitched, coyote-like yipping,” says the Economist report. Jacqueline Frair, a SUNY ESF researcher, told Syracuse.com hasn’t seen evidence that coywolves are more aggressive than western or pure-bred coyotes. The Economist piece said coywolves are more comfortable living around humans than western coyotes. According to the Philly Voice, at least 20 now live in New York City and some have been spotted in Washington, D.C., Boston and Philadelphia. An eastern Coyote-coywolf research website says the animal is found from New Jersey to Maine, weighs around 30 to 45 pounds on average, and ranges in color from light brown to darker black, but it usually tawny brown.